Millennials and babies, some research! According to a new and fun infographic from Ypulse, Millennials are incredibly multifaceted, holding an array of different outlooks and plans for their future life. 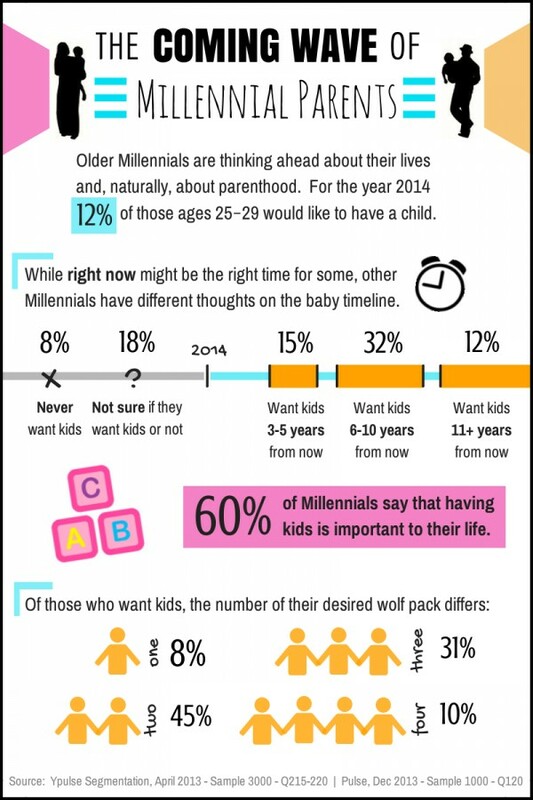 Ypulse discovered for example that 12% of Millennials aged 25 to 29 would like to have a child in 2014, although 60% of them say that having kids is important to their life.